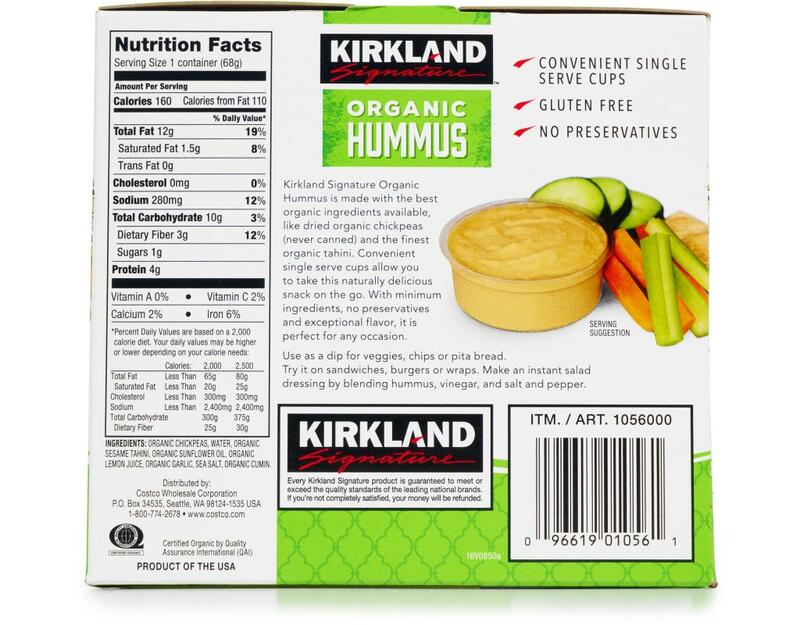 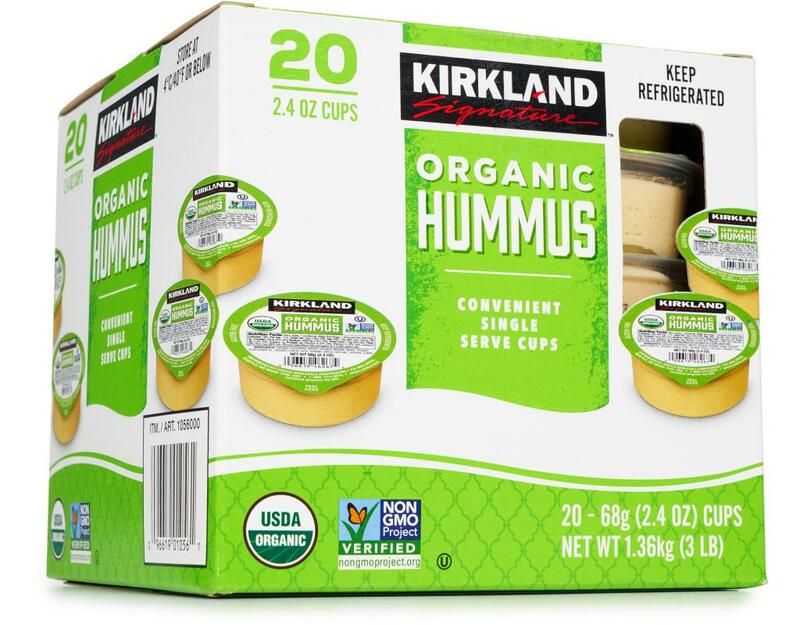 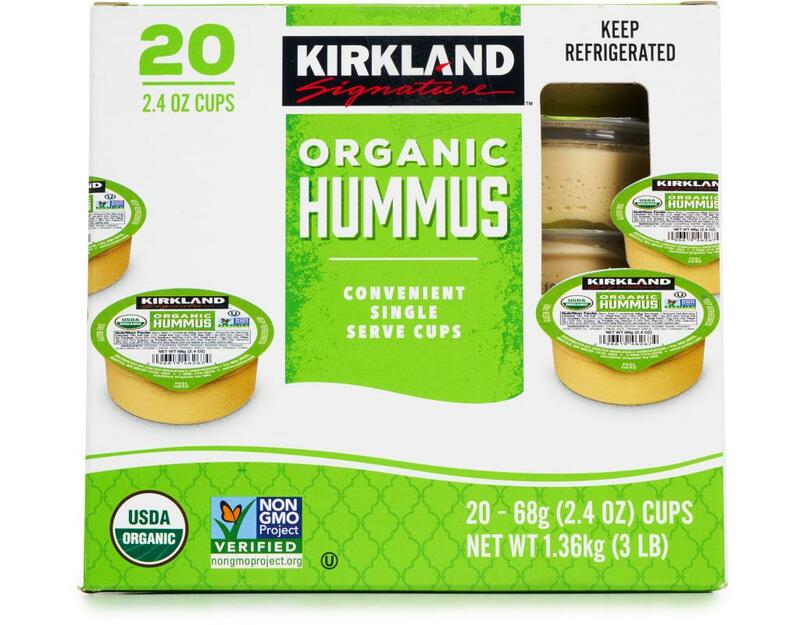 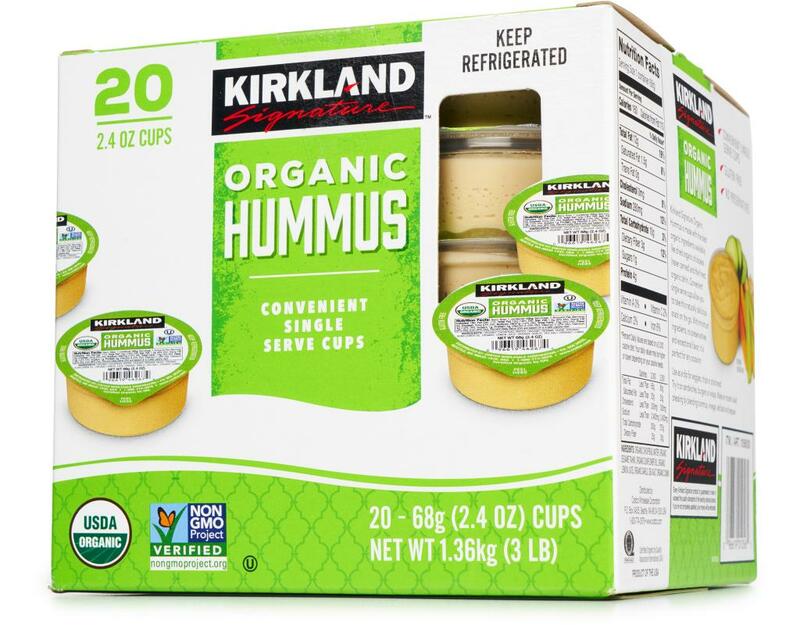 Kirkland Signature Organic Hummus is made with the best organic ingredients available, like dried organic chickpeas (never canned) and the finest organic tahini. 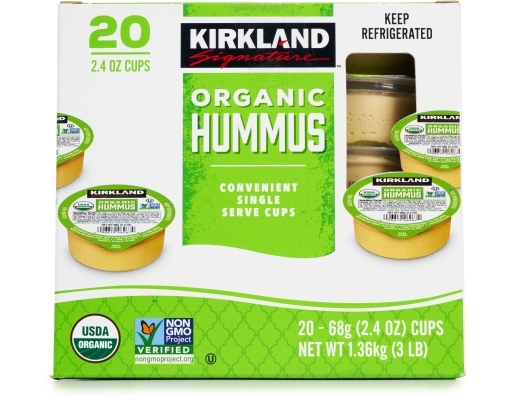 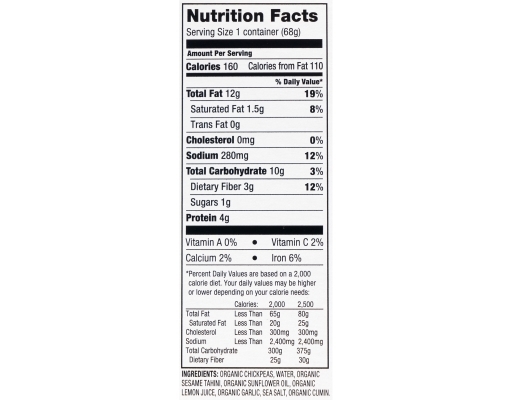 Convenient single serve cups allow you to take this naturally delicious snack on the go. 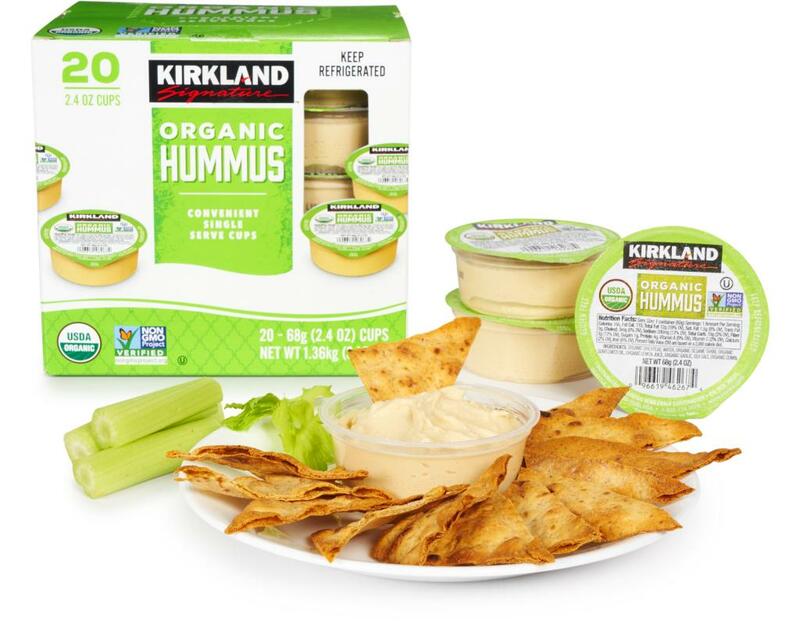 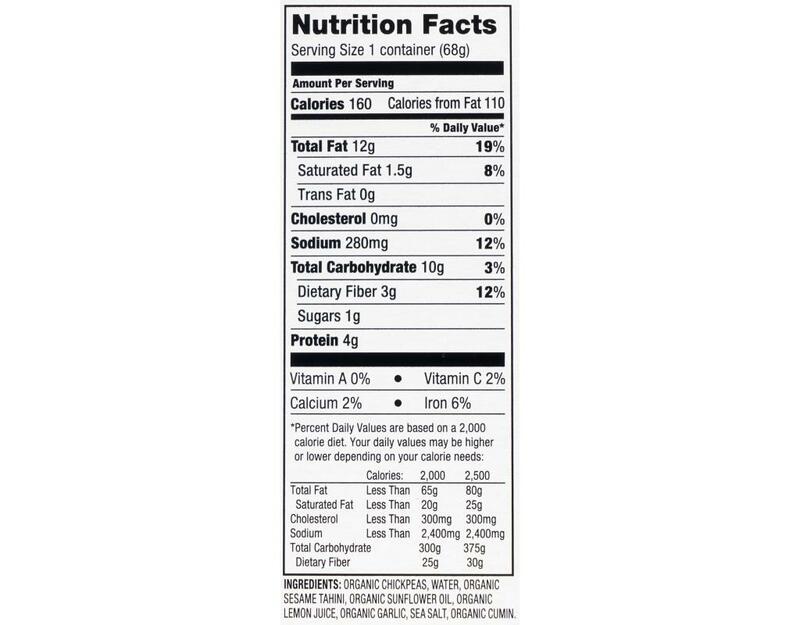 With minimum ingredients, no preservatives and exceptional flavor, it is perfect for any occasion. 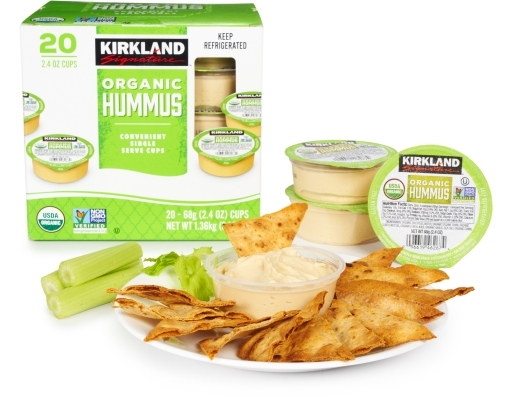 Use as a dip for veggies, chips or pita bread. Try it on sandwiches, burgers or wraps. 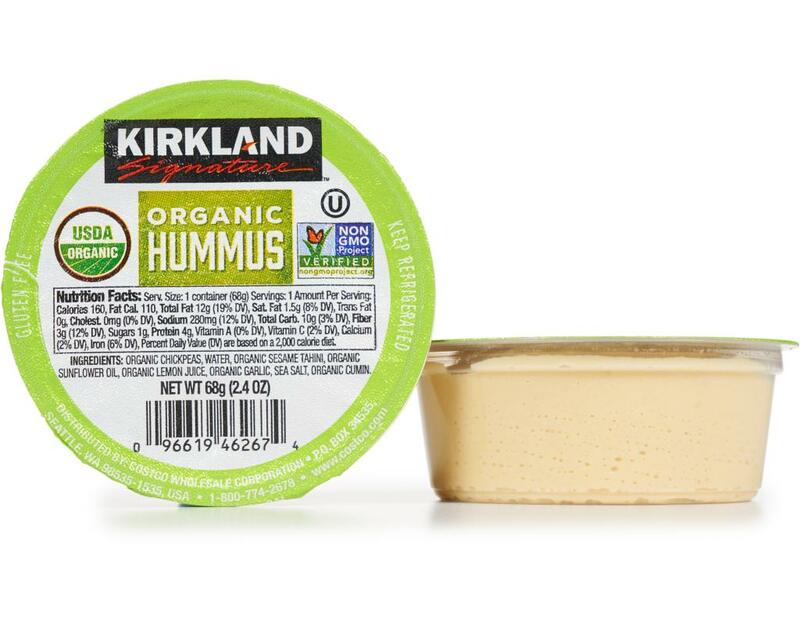 Make an instant salad dressing by blending hummus, vinegar, and salt and pepper. Organic Chickpeas, Water, Organic Sesame Tahini, Organic Sunflower Oil, Organic Lemon Juice, Organic Garlic, Sea Salt, Organic Cumin.